Luis Alvarez and his wife, Lianny had their Project Repat blanket made as a way to hold onto important memories. 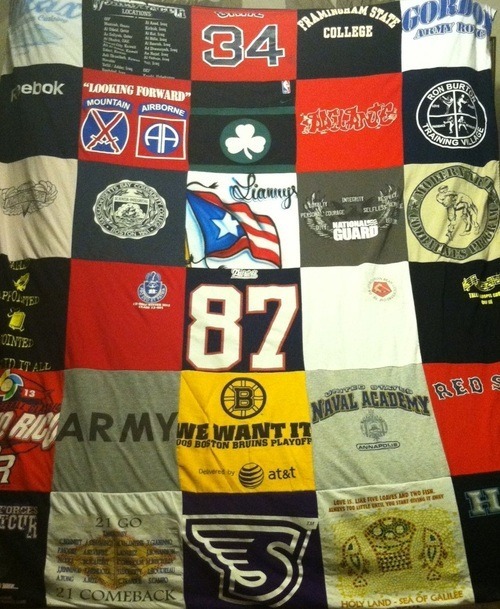 Each patch of their quilt means so much more to Luis and Lianny than the t-shirt that bore it. By presenting them in their blanket they have made a storyboard that holds within it their pasts.